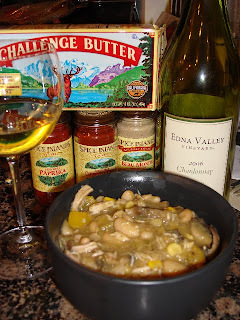 I was asked me to come up with a holiday entree recipe using Challenge Butter in order to promote their "A Taste of the West" Sweepstakes which is going on through the end of the year. You could win a 7-day/6-night trip for 4 people to the incredible Mountain Sky Guest Ranch in Montana’s Paradise Valley, just North of Yellowstone National Park or an $850 kitchen package from Spice Islands and OXO! 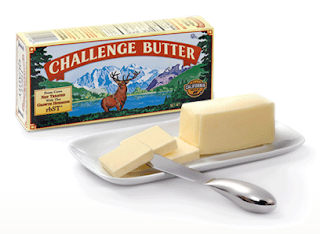 Challenge Butter is made from 100% real cream from growth hormone-free dairy cows. I actually had some in my fridge already, even though it's not usually available in my region because my mom got it for me at the Air Force Commissary! I like using it because it gives a nice flavor and texture to baked goods and makes the creamiest mashed potatoes. For the recipe challenge, I received samples of Challenge Butter in traditional sticks and a new, spreadable (courtesy of canola oil) tub along with an adorable OXO Pop container, whisk, and four jars from Spice Islands (Beau Monde Seasoning, Ground Chipotle Pepper, Smoked Paprika, and Fennel Seeds). Bob and I decided to saute mushrooms, garlic and onions in a bit of the stick butter then added that to shredded leftover rotisserie chicken before adding the spices (minus the fennel seeds) to taste. 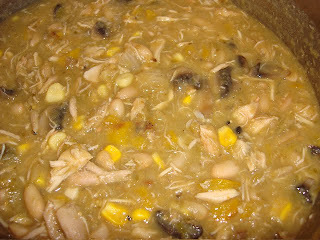 We added some tomatillo sauce, leftover corn, chopped green chiles and two cans of cannellini beans. Then Bob had the genius suggestion of splashing in some white wine. A little odd, perhaps, for a Mexican-y dish but we were out of beer. And it was seriously delicious! We ate it over some leftover rice and it was hearty and warming. The Ground Chipotle Pepper and Smoked Paprika gave it a subtle depth that was really, really nice. Not the prettiest dish in the world but definitely a tasty one! I've been really into chipotle peppers lately. I had a can of them and just add a bit to soups and rice. So good! Yum. It looks yummy on a cold winters day! Mmmmm, looks delish! I've been all over that ground chipotle pepper--SO GOOD!